Emirati author and illustrator, Abdullah Al Sharhan, had a dream to qualitatively promote Arab and Emirati cultures by producing children’s content that champions cross-cultural communication. That dream he fulfilled by creating Dar Ajyaal Media in 2009. What began as a modest operation involving a team of creative experts to build innovative media solutions to promote Emirati and Arab culture in a meaningful and attractive way for children and young adults, has today become one of the region’s biggest in the field with the support of Khalifa Fund for Enterprise Development and Abu Dhabi Media Free Zone - Twofour54. 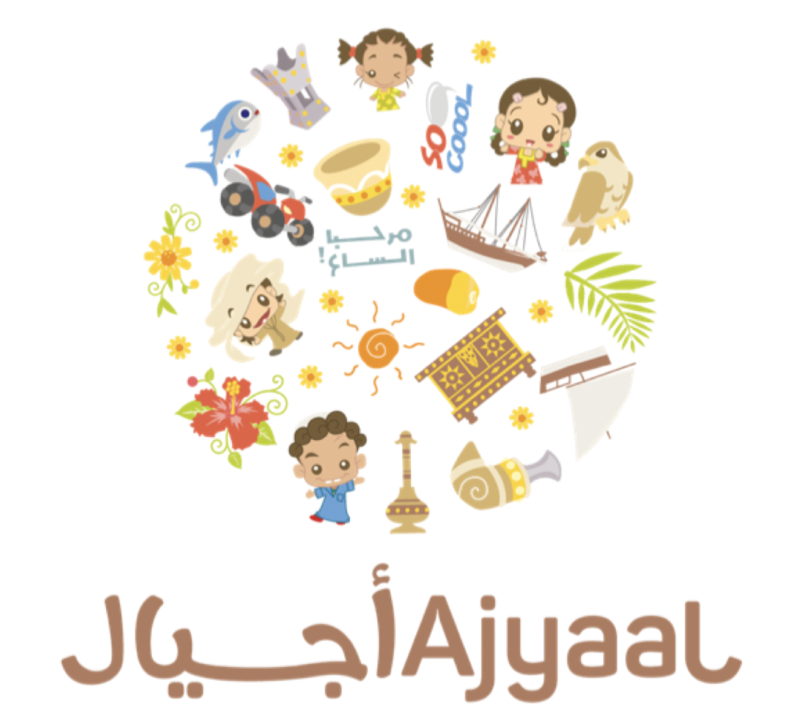 Ajyaal Media’s strong focus on developing Arabic-language children’s content resulted from their research, which revealed that even though Arabic libraries are rich with reading materials for children, their first interactions with books at nurseries were mostly with non-Arabic language materials. This is why it was keen to publish special attractive titles with quality content, which would serve as a stepping stone for young readers to familiarise themselves with Arabic letters, words and texts, winning the full trust of parents by meeting the highest international standards. The iconic cartoon character “Hamdoon”, featured in one of the most successful animated series in the region; currently premiering its third season in the Emirati dialect, is Ajyaal Media’s creation. The media house has also been publishing Children 999 – popular a monthly children’s in collaboration with UAE’s Ministry of Interior (MoI), since 2012. Its picture books, Hareez and Saaleek are famously popular among young lovers of literature. Ajyaal Media’s wide-ranging expertise is reflected in the diversity of platforms it offers engaging content. For instance, audio-visual publication like the “Hamdoon” animated series, audio publications, “Al Maryahanah” – a heritage-song album for children, and finally, print publications, including My Lost Name and A Tale of a Book that have achieved monumental success. Titled 1000 Words and Pictures, Ajyaal Media’s latest children’s book is designed to foster Arab culture. Comprising romanisation, it includes guidelines to pronounce Arabic letters utilising the Roman (Latin) script, which makes it suitable for non-Arabs who wish to learn their first Arabic words. Since 2012, Ajyaal Media participated in local cultural forums and book fairs, showcasing its publications through the organisations and publishing houses, with which it forged partnerships or signed off collaboration agreements. In 2017, it started to participate in different book fairs across the UAE, including Al Ain Book Fair (AABF), Abu Dhabi International Book Fair (ADIBF) and Sharjah International Book Fair (SIBF) with its own stand, in addition to taking part in cultural events and festivals, such as Sharjah International Children’s Film Festival (SICFF). Ajyaal always seeks new expertise and untold stories, aspiring to provide young generations with local and Arab attractive and unique alternative, with a focus on quality and innovation in the content production, to become the reliable and trusted partner of families in educating and entertaining children. 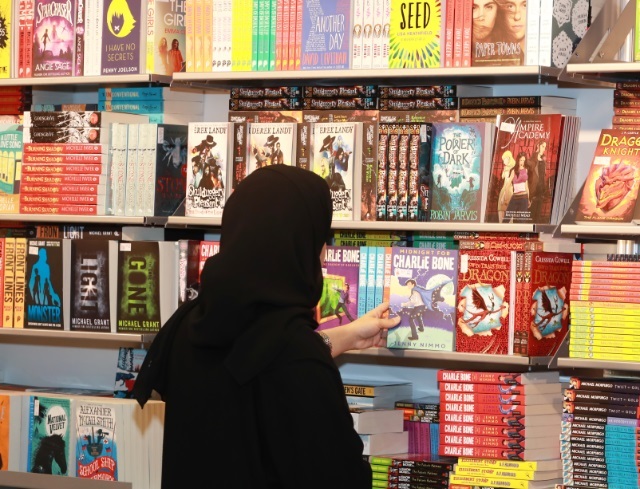 UAE’s publishing sector has seen significant development and expansion over the last years, with dozens of local publishing houses that provide readers with quality Emirati and Arabic books and exceptional direction, production and distribution services. this development attributed a striking surge, and Ajyaal Media seeks to be part of it and provide quality publications to readers. Ajyaal Media prides itself on being an EPA member and aspires to expand the outreach of books towards the knowledge-based society through the concessions and facilitation, as well as the integrated vision on the publishing sector, research and reports that are provided by EPA to understand market demands and align with the mindsets and ideological trends of the UAE and the region. 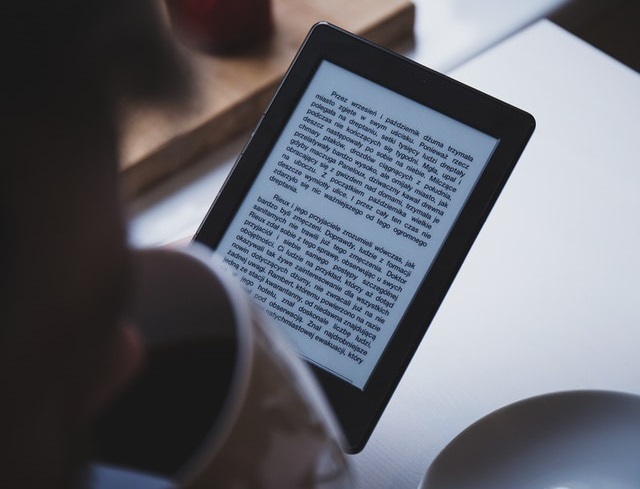 Ajyaal believes that more people are reading books; both, print and electronic. It seeks to combine the visual production market and book fairs to adopt key books to TV and film production or any other media forms, which will be a paradigm shift in the publishing market. Ajyaal has physical sales points at Dalma Mall in Abu Dhabi and other venues, as well as sales and distribution channels in the UAE and wider Gulf Region, and the UK. Their electronic store is a popular access point for readers to view their latest titles and other merchandise online. In August 2017, and following Abu Dhabi International Book Fair, an idea started floating around to bring the centuries-old Chinese culture to the Arab world, to build bridges between two diverse and rich cultures. Thus, Dragon Publishing was established to bring Chinese literature closer than ever to Arabic language readers. One of the publications, a scientific series titled Fascinating Insectspresents the fascinating world of insects to children and young readers through captivating artwork and introductory pictures. Another well-known series, Learning Outside Home, goes into detail about trees and plants in an easy and informative format perfect for children. Dragon Publishing has also released a collection of translated renowned Chinese proverbs by philosophers like Confucius and Zhuangzi. Dragon’s catalogue also includes books on children’s mental development and history, which have been translated with pictures and illustrations for easy understanding of young Arab readers. Dragon Publishing has effectively embraced technological advancements. They have been enhancing people’s reading experience by engaging them through Virtual Reality (VR) technology. Additionally, the publisher plans to release educational videos add another innovative medium of learning. They intend to publish a lot more to include rich and diverse international titles. The Emirates Publishers Association (EPA) has played an integral role in the launch and development of Dragon Publishing through a plethora of incentives and support programmes, they designed to assist the publisher reach intranational standards. Furthermore, EPA takes into consideration the difficult economic status of countries in the region, resulting from continuous turmoil, and has hit several sectors including publishing. EPA projects are designed to help redevelop the publishing industry in these nations. Dragon Publishing has extended is marketing its titles on online platforms, expanding its readership steadily through participation in international exhibitions. They have also extende3d their points of sales to malls and stores. They are actively engaging Chinese publishers and encouraging them to translate their publications into Arabic to cater the Arabic language readers in China. In keeping with its dedication to stay abreast of the digital world and incorporate updates into the tools of content production and editing, Al Takhayol for Publishing and Distribution contributes to shaping the cultural landscape of media and marketing service sector. It provides solutions that merges traditional and modern media. In 2003, the team of Tactix Information Technologyissued the very first magazine dedicated to the smart and e-government sector. For over 15 years, the magazine has been a key reference to researchers and experts, who are interested in studying the history of government sector digital transformation in Dubai and the UAE. In 2013, Tactics Media and Information Design launched the Marasi News Magazine, which became an integrated media platform and a media arm of the maritime sector in the UAE. Recently, new issues (editions) that target Arab elites and high-level senior investors are being developed. UAE-basedMarasi News Magazine is popular in GCC countries, particularly in KSA. It has a strong following in Egypt, Jordan, Lebanon and Kuwait. The magazine’s followers are also increasing in Europe, especially in Italy and Greece, with key boat and prestigious yacht companies as clients. It has started to get orders from the USA and some countries in South America, with plans to expand to India and Eastern Asia. Al Takhayol for Publishing and Distributionand Marasi News Magazine are strategic media partners with all maritime events, local and international marine organisations. Marasi News platform forged a strategic partnership with Dubai Maritime City, as well as the Arab Academy for Science, Technology & Maritime Transport in Egypt. Under the sponsorship and supervision of the Federal Transport Authority – Land and Maritime, it launched the first-of-its-kind forum for maritime leaders in the UAE, providing a think-tank to support the development of the maritime sector and become a reference for decision-makers in the maritime industry. Marasi News Magazine aims to promote maritime media through publishing books and stories on maritime in the region throughout the ages, and how the forefathers were riding the seas. Al Takhayol believes that the publishing movement in the UAE is in its golden age, thanks to His Highness Sheikh Dr Sultan bin Muhammad Al Qasimi, Member of the Supreme Council and Ruler of Sharjah, who stimulated and fostered culture, knowledge, sciences and arts as the key driving force that enhance civilisation and peace. The publishing house considers having the membership of the Emirates Publishers Association (EPA) as its national duty to align with the vision of His Highness the Ruler of Sharjah, which underscores the importance of furthering the stature of books and culture, and nurture the publishing industry in the UAE that become an international platform and gateway between the East and the West. Founded in Dubai in 2018, CIEL Publishing and Distribution is Virgin Megastore’s exclusive supplier in the Middle East and one of the largest book importers and distributors in the Middle East, importing titles by more than 500 publishers from around the world. CIELimports in excess of 15,000 titles in Arabic, English and French as part of its plans to enhance the UAE’s cultural and literary sectors, underlining that the publishing sector in the UAE is seeing unprecedented growth through the support of the Emirates Publishers Association (EPA) and its participation in many global book fairs. As CIELhas witnessed, the publishing market in the Middle East is seeing remarkable progress, emphasising that books still hold a great attraction for readers, researchers and academics. The publishing house focuses on titles that provide local and Arabic bookstores with more choice, attracting some of the most significant award-winning books, and as an exclusive supplier to Virgin Megastore, it offers a quality selection of material to consumers across the region. CIELparticipates in a number of annual cultural events and book fairs around the world, where it promotes its expertise and special programmes to international intellectuals and publishers. ‘Makhtoota 5229’ is the first Emirati sci-fi and fantasy publishing house in the UAE that specialises in science fiction, myths, fantasy, horror and the paranormal. Having seen a gap in the market for the niche genres, the Sharjah-based publisher committed itself to offer entertaining and exciting content for young readers in the Arab world while inspiring them to love Arabic books. The origins of the name of ‘Makhtoota 5229’ dates back to the 10th century when the Abbasid Caliph, Al Muqtadir Bellah, dispatched his envoy Ahmed ibn Fadlan Al Baghdadi to the King of Bulgaria. During his long journey, Al Baghdadi met with different cultures and recorded his observations in a 420-page manuscript, which is now kept in a Turkish museum under the file name ‘MS5229’. The publishing house has produced a list of the most popular books among young adults who are passionate about its genres, including budding authors with tips such as ‘Writing Fight Scenes’ by Ryan Hall. It serves primarily as a guide for novelists to have a deeper understanding about the most effective ways to create authentic combat scenes within a credible plot structure. ‘Makhtoota 5229’also released ‘Ancillary Justice’,a science fiction novel by the American writer Ann Leckie andthe first book in her ‘Imperial Radch’ space opera trilogy. The story describes a new universe where the empire uses Artificial Intelligence to control humans, the ‘ancillaries’, to act as its front-line soldiers. The publishing house has a vision to make science and research attractive to young people, based on its belief that the content can stimulate a sense of curiosity and invention and encourage them to contribute to real-life innovation. Science in particular focuses on experimentation and evidence and many scientists believe their interest and achievements stem from the science fiction books they read in their childhood. Dar AlNahda AlElmiya was established in the UAE in 2014 as a subsidiary of the Egyptian publisher, Dar Al Nahda Al Arabia. Founded in 1960, it is one of the oldest publishing houses in Egypt focusing on social sciences, children’s books, literature and history. The UAE branch of this prestigious publishing house was inaugurated in line with the country’s focus on improving conditions for scientific research, encourage more people to take up research, and also make the education and nurseries sectors in the UAE more fertile. New titles of Dar AlNahda AlElmiya include The Case Management System in accordance with the UAE Civil Procedures Lawby Prof. Jawaher Jumaa Al-Ketbi; Sociology of Social Problems in the UAE Society- social studiesby Dr. Naji Mohammed Hilal; and The International and Local Protection of Arab Information Institutions during Conflicts and Disturbancesby Prof. Ahmed Adel Zidan. As part of its efforts to disseminate knowledge and give their publications wider access to readers, Dar Al Nahda maintains a regular presence at key regional and international book fairs, like the Sharjah International Book Fair, Muscat International Book Fair, Jeddah International Book Fair, and others. They intend to participate at the 2018 editions of the Sharjah International Book Fair and the International Book Fair of Algiers. Dar AlNahda AlElmiya is planning to expand its scope of work in academic books and curricula in both universities and schools. 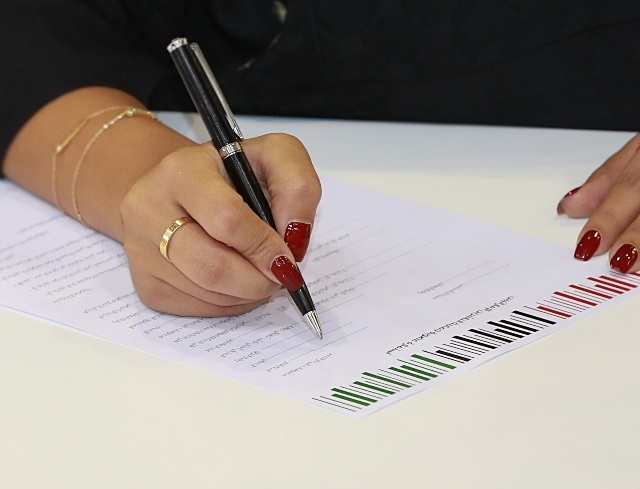 It has already started publishing for UAE universities such as gthe University of Sharjah, Ajman University, Abu Dhabi University, Al Falah University, The American University in the Emirates(AUE) and City University College of Ajman. 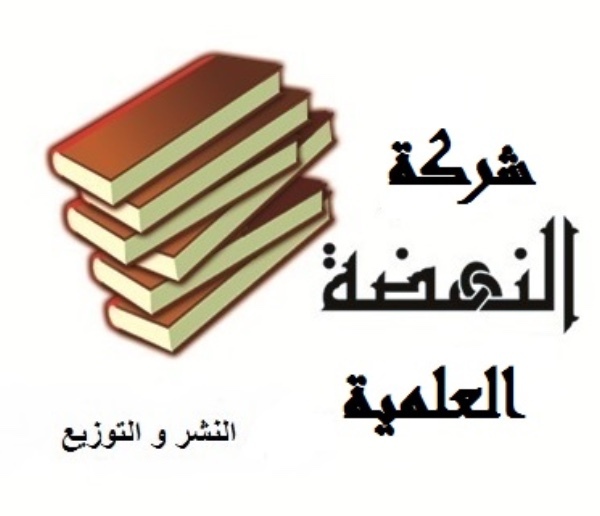 Regarding young people and children, the publishing house focused on delivering school curricula in accordance to the specifications of the Ministry of Education. Dar Al Nahda believes that the publishing sector in the UAE is witnessing remarkable progress and continued growth, thanks to the government’s support and efforts to increase the number of intellectual and scientific titles in all fields by encouraging authors and publishers to deliver valuable content. The majority of Dar Al Nahda’s sales are made in Gulf countries in general and the UAE in particular. The UAE is home to various Arab nationalities, and by virtue of its multicultural milieu, offers easy access to interested readers from across the region. 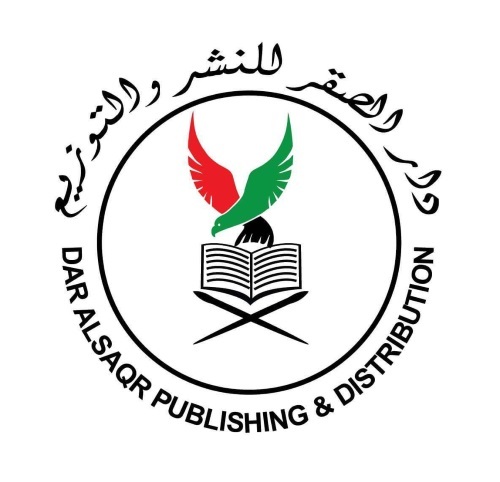 Established in 2014 in the Emirate of Al Fujairah, the Dar Al Saqr for Publishing and Distribution, a member of the Emirates Publishers Association (EPA), aims to produce publications that meet the interests of the Emirati community. It published cultural materials that have new and innovative content, through which it stimulates Emirati young authors to publish their innovative titles. Dar Al Saqr focuses on presenting new content that targets all segments of society, and addresses many topics and issues that align with the age and communicate meaningful messages. The list of Dar Al Saqr’s latest publications includes ‘Zayed the Father and Instilling the Concept of the Role Model’, ‘Zayed: Biography and Successful Progress’ and ‘Abu Dhabi and Dubai: One Entity as Zayed Left It’. The publishing house focuses on publishing a variety of titles that target children and feature scientific content that address all types of sciences, knowledge and languages, among other children’s books that attract youngsters to the world of reading. It seeks to publish 100 new educational titles that support children in the future. In keeping with its dedication to enhancing its stature and promoting its publications, Dar Al Saqr is committed to participating in many local events, such as the Abu Dhabi International Book Fair, and expanding its participation to the regional level. Sail Publishing was founded in 2014, four years after the launch of Sail Magazine, an online publication featuring cultural and community opinion articles, providing a platform for young people who prefer writing in English, regardless of nationality, and helping to bridge the gap between non-Arabic speakers in the UAE and the Emirati community. In recognition of the magazine’s entrepreneurial drive, digital publishing creativity and ambition to spread literature and the love of reading in the community, the publication’s many awards include: UAE Young Digital Publisher Entrepreneur Award from the British Council; Young Entrepreneur Award from Startup Businesses Magazine; and the Arab Woman Award in Literature. Building on its strength and reputation in digital publishing and the trust from the community as place for the young writers to increase their reach, Sail went on to establish an independent digital and print publishing business across all genres including children’s literature, business, poetry, and fiction. The publisher’s target audience is split into two main categories, which are the young Arabic speakers who enjoy English language books, and international readers who are culturally curious about the region and works written by Arabic authors. While Sail Publishing covers a full spectrum of styles and subjects, it focuses exclusively on English language publications, in contrast to many UAE publishers which concentrate on different genres in Arabic. Sail Publishing has a varied distribution network with digital titles available on iBooks, Kindle, Kobo, Nook, Scribd, Storytel, and many of the industry’s other worldwide reading platforms and print versions on Amazon, Book Depository, Barnes and Noble, and Jamalon. The publisher’s most recent titles include poetry collections by young Emirati authors, ‘Salvaged’ by Omar Al Owais, and ‘You, Me, and All the In-between’ by Shaikha Al Bakhit, as well as a parenting book ‘The Last Years Last Forever’ by Aysha Al Janahi. In order to raise its profile and increase awareness, Sail Publishing continues to maintain a presence at leading international industry fairs, including two recent international congresses in London and in India, Casablanca, the Sharjah International Book Fair and two appearances at the London Book Fair, with the Paris Book Fair coming up later in the year. The company is also working towards providing digital services for other publishers in both Arabic and English under their own imprints, and editing services for English books.